The Early Years classes, catering for children from 2 and a half to 5 years old, are a happy place to learn and develop. We are proud of our beautiful site, which provides a happy, secure and creative learning environment, with indoor and outdoor learning spaces, and a truly warm and caring family community that greatly supports a meaningful start to our 2 to 5 years olds’ learning journey. 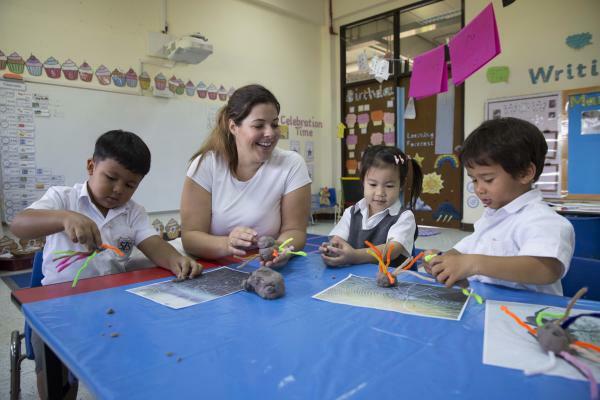 Our Early Years department, staffed with qualified teachers and teaching assistants, provides a broad and balanced high quality curriculum in line with the UK Early Years Foundation Stage (EYFS) guidance, adapted to meet the needs of international learners. We are fortunate to have specialist teachers for swimming, music, Thai and Chinese lessons and believe in the importance of building a strong foundation for the children to begin “Lifelong learning” along with respecting themselves and others. We actively support children’s learning, creativity and critical thinking by providing high standard learning experiences that meet the individual needs and interests of the children through play, investigation and learning through doing. 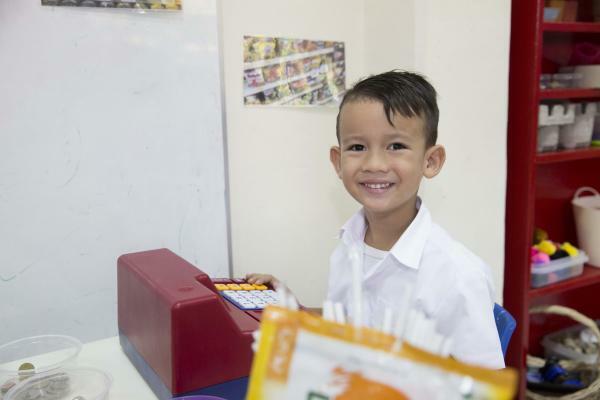 We ensure that the children thrive academically, personally and socially. Our typical day is made up of many activities, some of which the children can select and some designed for the whole class. 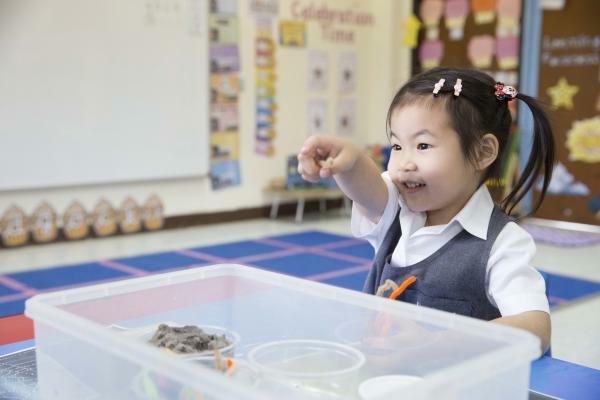 Our children proudly achieve their Early Learning Goals with independence and confidence.